Please send a check payable to the Detroit Goodfellows to P.O. Box 44444, Detroit, MI 48244-0444. Our goal for 2018 is $1,250,000. We will distribute 33,000 gift boxes to children 4 through 13 and 10,000 dolls this holiday season! Our service cities are Detroit, Highland Park, Hamtramck, Harper Woods and River Rouge, Michigan. We need your help now more than ever. Thank you for your support. The Detroit Goodfellows is a 501(c)3 non-profit organization. 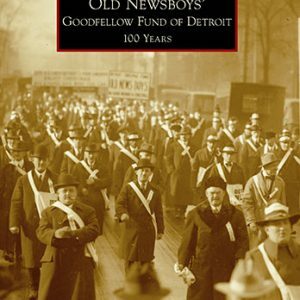 All contributions made to the Old Newsboys’ Goodfellow Fund of Detroit are tax deductible by donors as provided by Section 170 of the Code. The Goodfellows members continue to underwrite many of the costs involved in the purchase of merchandise and the support of other programs. In 1997, the Goodfellows hired a full-time administrator to manage the day-to-day operations of the organization. All costs related to this staff person and other operating expenses are covered by interest from investments. The Goodfellows have established an endowment program through the Community Foundation for Southeastern Michigan. All gifts made to the Goodfellows Fund at the Community Foundation are re-invested by the foundation. The Goodfellows receive annual payouts from these investments. A Board of Directors manages the affairs of the Goodfellows, which includes an executive committee and up to fifteen “members at large.” All past presidents are invited to attend monthly board meetings and continue to play an active role in the organization. The Old Newsboys’ Goodfellow Fund of Detroit is classified as a 501(c)3 tax-exempt charitable organization.